She was so tiny and fragile that I feared catch her in my arms. She was wrapped in a blanket of plastic bubble and filled with silica so she did not suffer the effects of moisture, she was in a corner of the Rosicrucian Egyptian Museum and surrounded by care and discretion on the part of the curators. I met her in May 2013 when I participated in an event at the museum. On occasion I could not give much attention to the child, because at that time the star was Tothmea mummy. We were presenting the Egyptian mummy to the general public and the press. 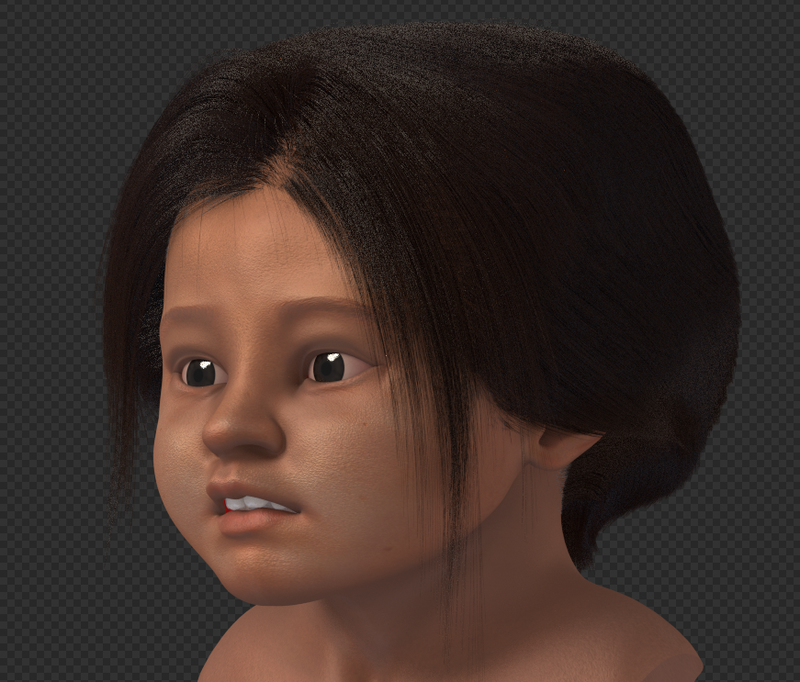 Even so, the Andean child entered the meeting topics and we was more or less agreed that the museum would mobilize for a CT scan in that little body girded with a lot of mystery and historical importance. 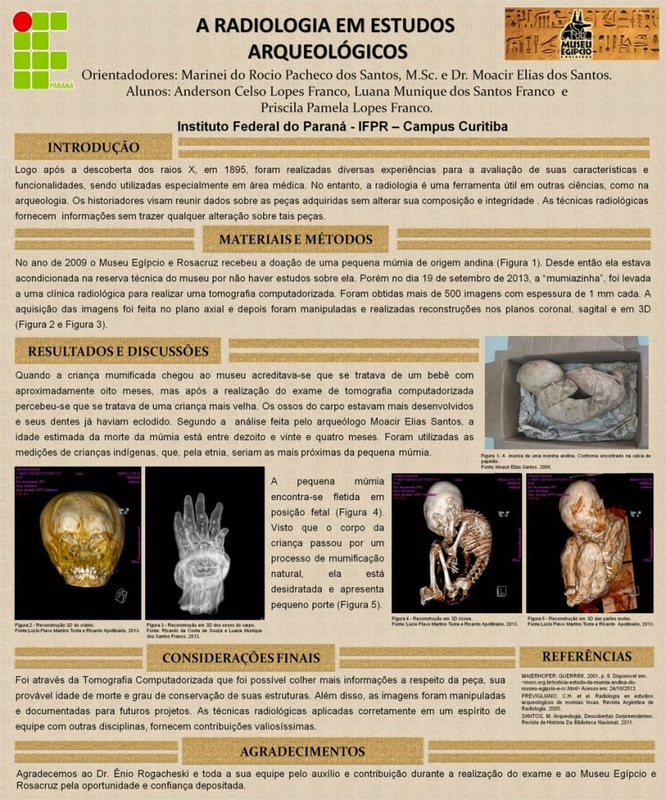 Months later I learned that a group of IFPR (Federal Institute of Paraná) linked to the course of Radiology, was developing a job with the Andean mummy. Quickly I contacted the professor Marinei Pacheco and her student Priscilla Lopes. 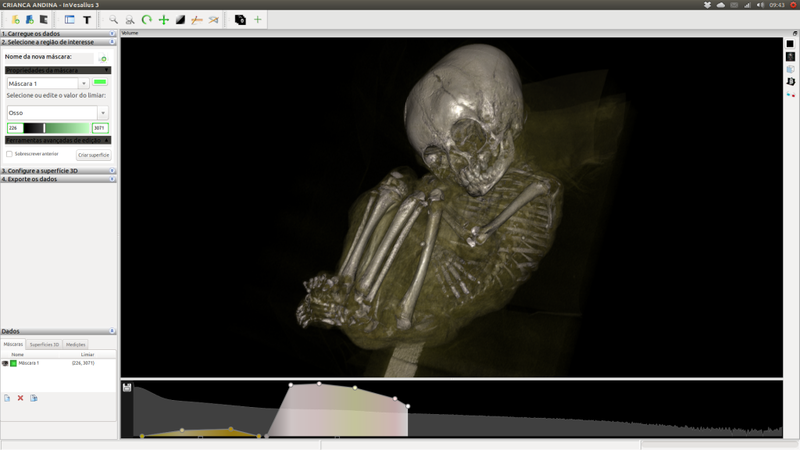 They accompanied tomography whole body of the child and they were working on the data so that they could with this, among other things, get to her age when she died. I was in Sao Paulo when I received the files of CT-Scan. I had a thousand things to do but I had to forget them for a while because I was blown away by what I saw. 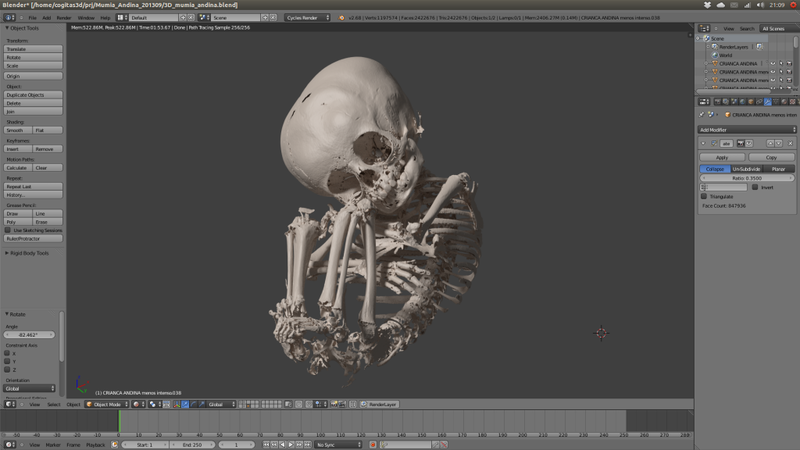 Sitting on the desk of the hotel I rebuilt the tomography for 3D. Initially it appeared the body of a very young child. By regulating the amount of transparency, the bones revealed them. I could even see the tiny spheres of silica. Something caught my attention that surrounded the tiny little arm of the mummy, a small bracelet that I did not notice at first. She was in an almost fetal position, hiding the face with the legs folded. Involuntarily I began to imagine how would have been the days of that child while she lived. What would have taken her to lose her life? How did your parents dealt with that? Where she lived in the Andes? The questions are many, but the answers... very few. 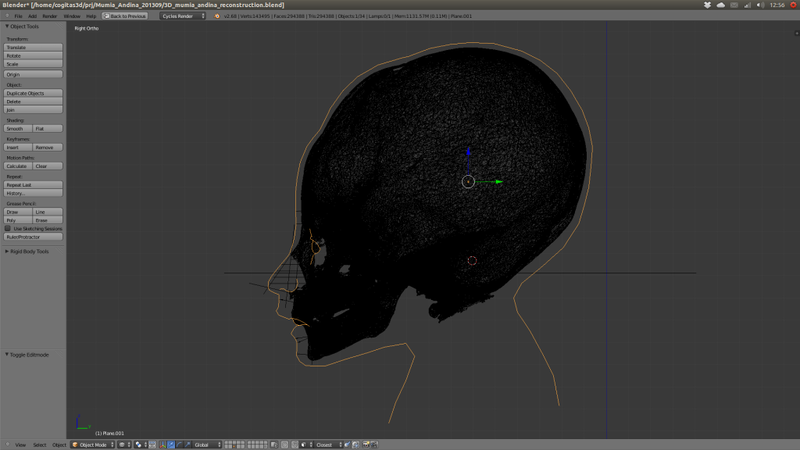 So I returned to my town (2100 Km away), I began to reconstruct the face. Gradually appeared the face of a beautiful little girl, with slightly pronounced teeth. I decided to configure a sweet smile on that face, to immortalize a moment of joy during her brief life. 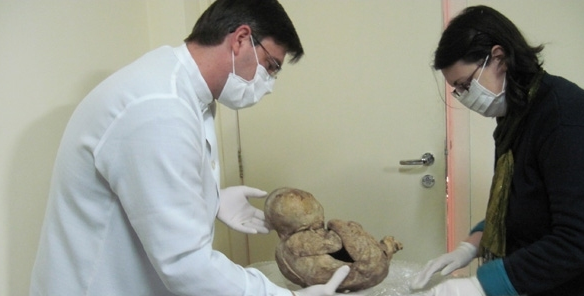 The small Andean died long ago, I stay sad to see skeletons of children, but from this dismal history new friendships emerged. When Priscilla finished the work related to radiology, she posted on Facebook a photo with the scientific panel describing the process. In thanks she quoted a phrase taken from the post where I have explained the reconstruction of another child, actually a baby ... the baby mummy of St. Louis. I was extremely honored to happy at that time. 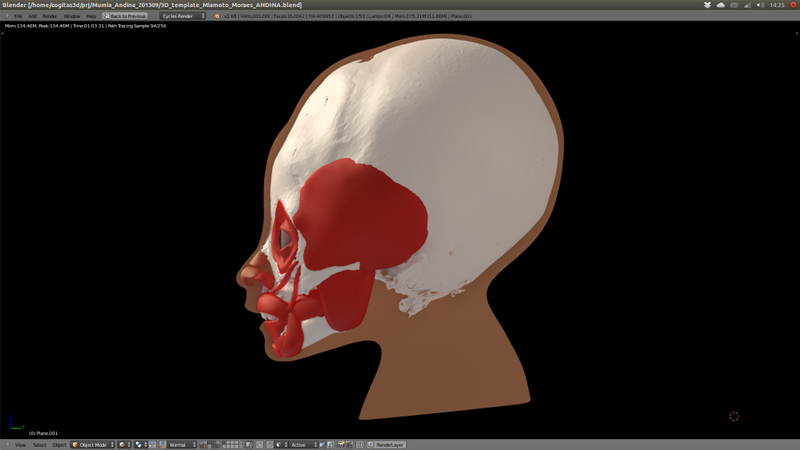 The kids are gone, those who are here cooperating and facial reconstructions will gather in an ehxibition about childhood in antiquity. 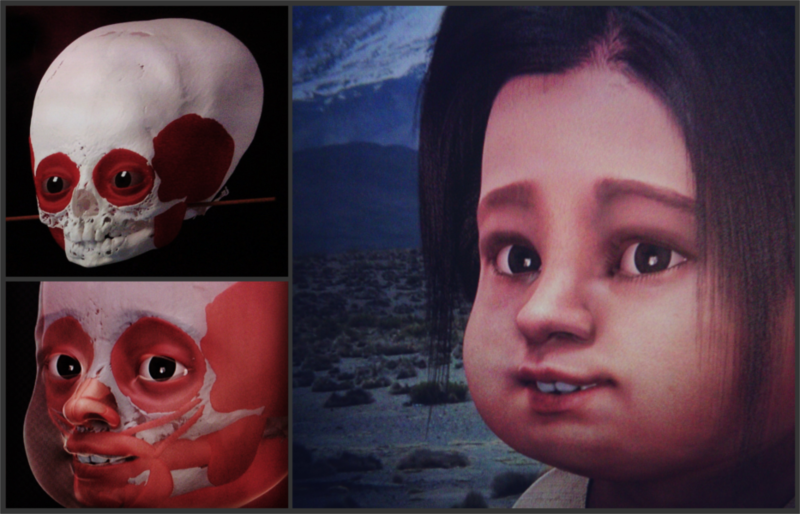 The small Andean mummy, after hundreds of years will have many little friends at her side. Returning to talk about Happy mummy's Day! 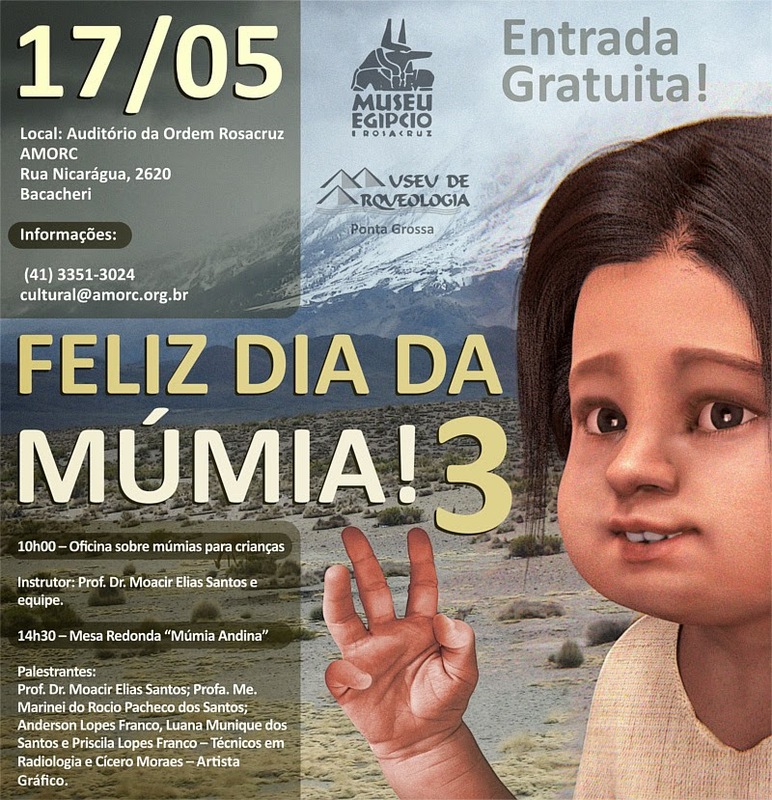 few days ago I received the airline tickets by email and I quickly began to separate the images to compose the slides that will be presented at the roundtable where we discuss the project (about the Andean child). After so long working with this I still get inspired and eager for the day to come soon and I can show viewers the steps of modeling. More than making me anxious to present, I stay also in relation to what the other members will show. It will be the first time I will participate in an event where all the researchers who developed the process will speak on your part making up a complete picture of how things been made. This mix of viewpoints and different performances will surely drive this serie of experience to a new and exciting project where science will be the biggest benefited. The presentation will happen at 17th of May and if you, dear reader, know someone in Curitiba-PR (Brazil), please, inform that person about the conference, besides being interesting the entrance is free. Adress: Auditório da Ordem Rosacruz, AMORC (Rua Nicarágua, 2620 – Bacacheri). A big hug and I see you in the next post!